In the 1990s, Arab, Tunisians were granted the opportunity to pursue studies in North America. Since then, each year some find jobs in North America. As a whole, they are a Arab Islamic culture blended with Mediterranean, European and Western influences. This is the result of 3,000 years Tunisia being a melting pot of Mediterranean cultures combined with a genuine openness. Consequently, they are a tolerant and peaceful people. Daily life and fashion mirror that of Europe but family life is more conservative with patriarchal dominant families. Generally speaking, they are one of most Westernized Arab peoples. However, the degree of Western liberality varies from one person to another resulting in Arab Tunisian being very diverse. Arab Tunisian families are quite close-knit. Family members enjoy being together for special occasions such as religious celebrations, weddings, circumcisions and other family events during which the extended family along with friends and neighbors gather to celebrate. 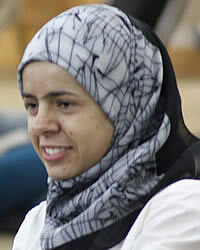 Pray the Lord of the harvest to send forth loving Christians to work among the Arab Tunisians. Pray that Arab Tunisians will understand that Jesus is the long-awaited Messiah. Ask the Lord to soften the hearts of the Arab Tunisians towards Christians so that they might hear and receive the message of salvation.